No matter where Patrice is on the road with his 320d, people are turning around for the BMW. It can´t be because of the sound, after all, it doesn´t have a straight-six cylinder under the hood or even an M-performance exhaust system. Okay, the MegaSpeed chip tuning makes the 320d go a little better, but this won´t be the reason? Maybe it’s because of the wheel/ tire combination in conjunction with the registered lowering as well as the BMW Alpinweiß III? Certainly! 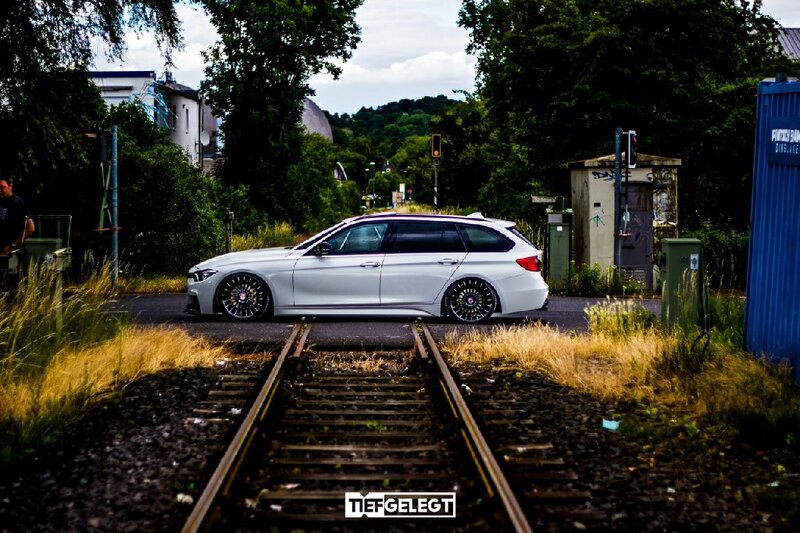 The rims are original Alpina wheels in 8,5 and 9,5 x 19 inches with Nexxen tires in 235/35R19 and 255/30R19. 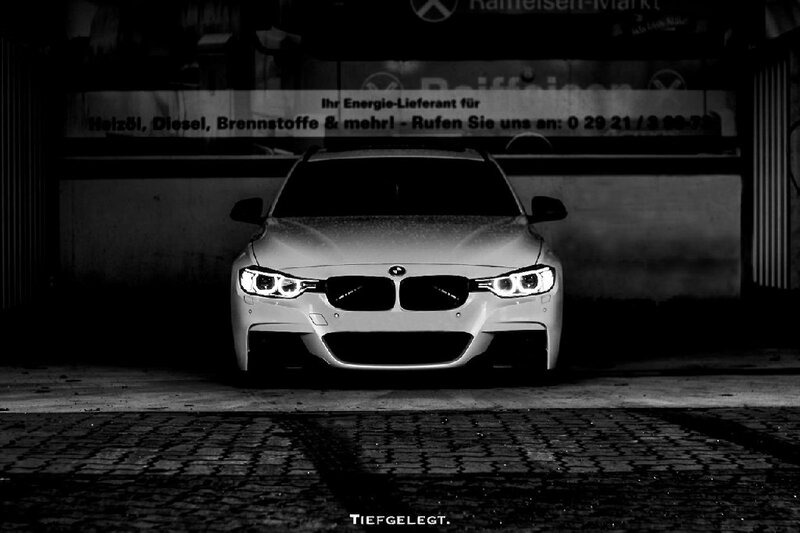 “My 3-series is driving damn good”, Patrice grins. “It is quite low, but still pretty comfortable and really not too hard.” Why is that? This is simply explained. 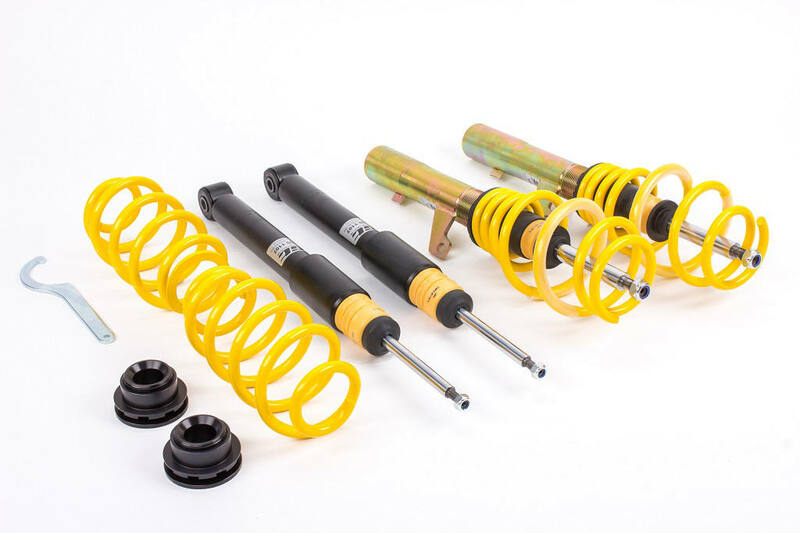 Anyone who is looking for the perfect coilover suspension and decides to purchase a ST suspension kit, will get a coilover suspension handcrafted by KW in Fichtenberg (Germany). 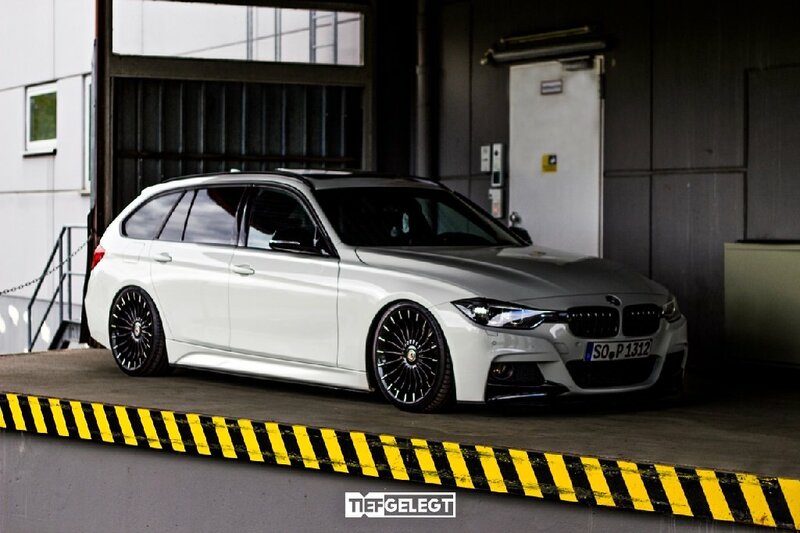 The ST X coilover suspension in Patrice´s Touring most obviously differs from a KW coilover suspension Variant 1 by the struts. 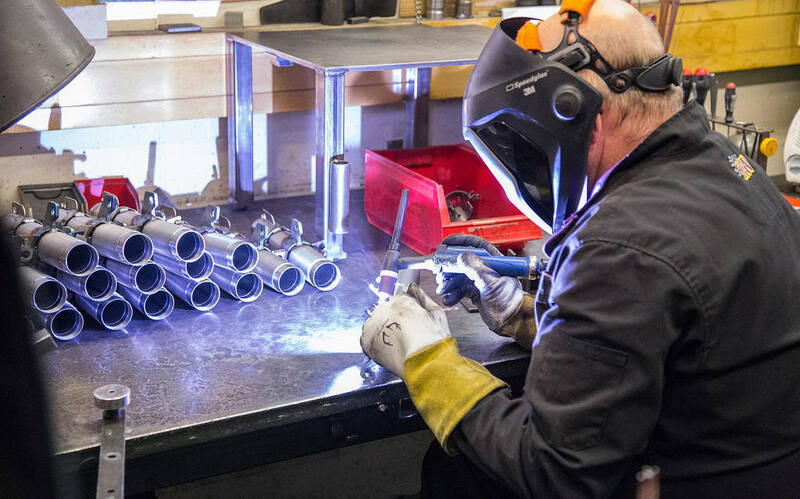 KW mainly uses stainless steel or aluminum, while the ST struts are made of galvanized steel housings. Less visible, however, are the “inner values” of KW coilovers and ST coilovers. KW for example offers coilovers with separately adjustable rebound and compression forces (V3, KW Clubsport 2-way) and suspensions with 3-way setting in low speed and high speed compression damping as well as in rebound damping (KW V4, Clubsport 3-way) and adaptive DDC coilovers with electronic valve control. 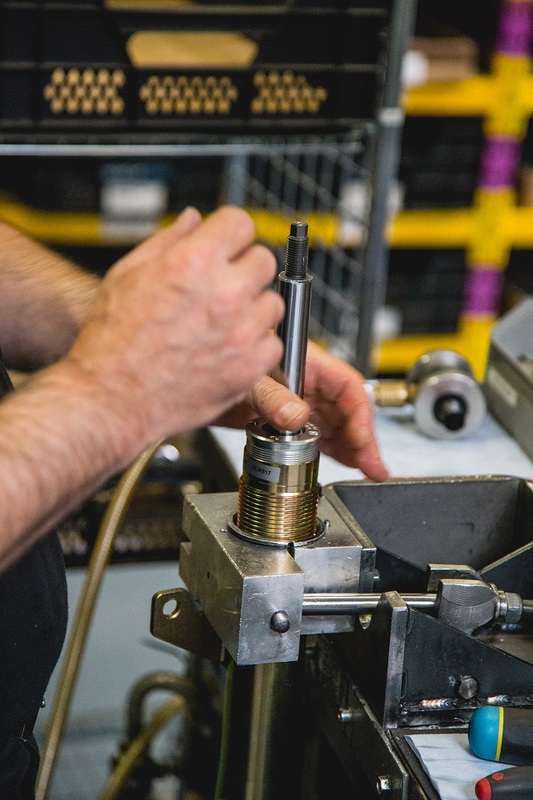 In addition to the continuous lowering, as it is usual for coilovers, we offer dampers with a fix ID (ST X) or solutions with adjustable dampers (ST XA and ST XTA), that are also suitable for performance applications in combination with an camber adjustment via aluminum Unibal top mounts and this way they offer more options than almost any other market player. 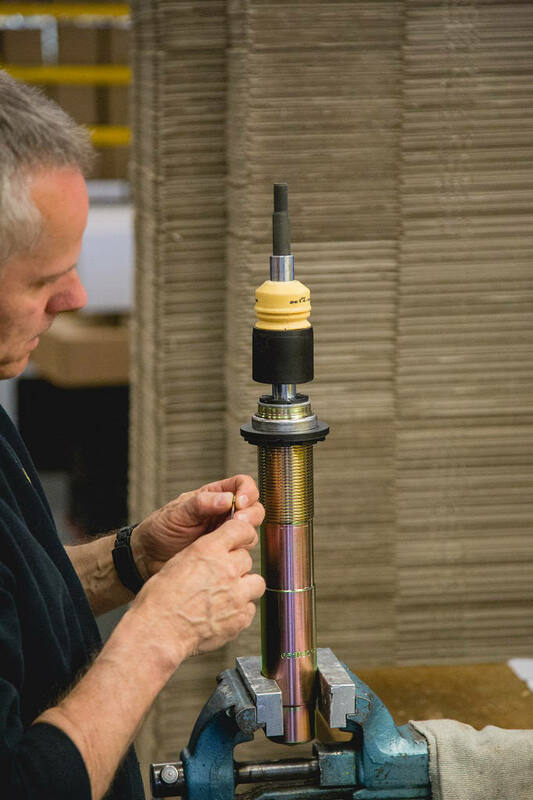 The continuous lowering of ST coilovers for the BMW F30/F31 models is made directly on the suspension strut via the trapezoidal thread. At the front, a lowering of 40 – 65 mm can be set and on the drive axle, the vehicle height can be adjusted directly at the rear axle height adjustment in the range of 30 – 60 mm. That Patrice´s F31 looks so brutally low is because of the interaction of the M-package and the additional M-Performance spoiler sword. 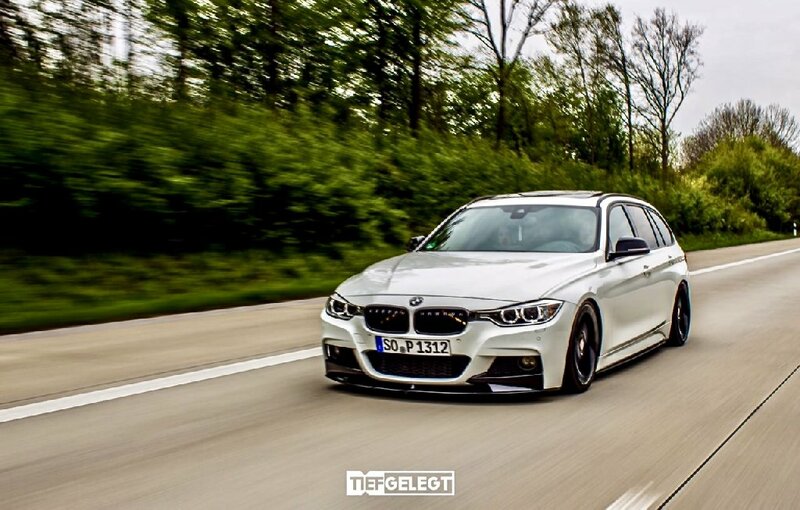 “My touring is really fun and I just like the interplay of the noble appearance and the simple elegance at the first glance.” And how do you actually like the 3-series with our ST coilover suspension? If you are also interested in a sports suspension, wheel spacers or coilovers, just visit our homepage www.st-suspensions.net.